There's always something happening at Pittsburgh Glass Center. We are currently accepting proposals from artists wishing to present new ideas and existing projects about immigration for an upcoming exhibition. From exhibition openings to family fun days, everyone is welcome to visit us during one of our hot events at PGC. 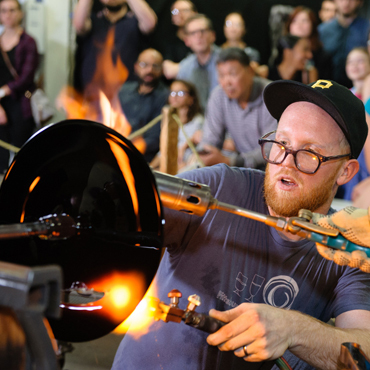 Every first Friday we have a FREE open house Hot Jam with live glass blowing demonstrations, glass art lectures in the summer and much more. Consumerism, luxury, obsession, and materialism have been persistent concepts in society throughout history. This spring six artists explore these themes and how they relate to pop culture and societal conventions in this new exhibition called “Material World” that runs through May 12. 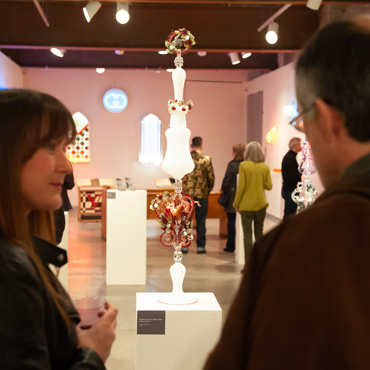 The Hodge Gallery at Pittsburgh Glass Center presents critically acclaimed contemporary glass art exhibitions throughout the year. 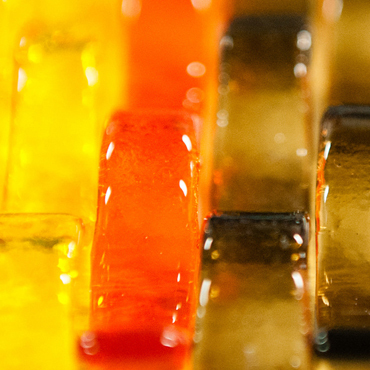 A wide range of work in glass is showcased from student exhibitions to cutting edge installations by established artists that incorporate light, sound and time-based elements. 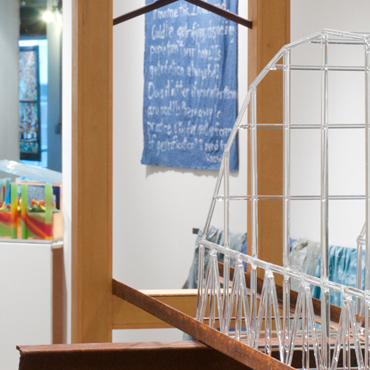 With these exhibitions, PGC is expanding the perception of glass from purely functional item to the realm of sculpture, installation and expression. The Art on Fire Celebration & Auction is our most important fundraiser. 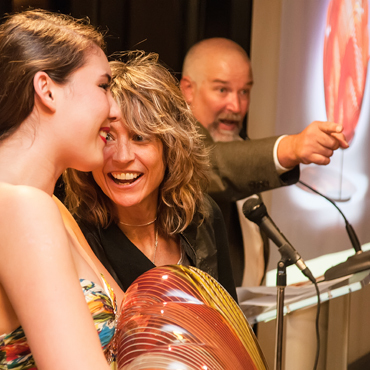 It's a fun party and Pittsburg's only contemporary glass art auction. It attracts nearly 500 community leaders and art appreciators and generates over 10% of our annual operating funds in ONE evening! Proceeds directly support free public programming and accessibility initiatives at PGC.